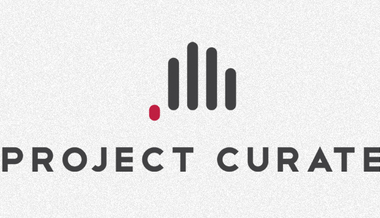 ProjectCURATE (Center for Urban Reconciliation and Theological Education) is a new initiative that seeks to re-imagine and enflesh theological learning through the diverse body of the city and church. It seeks to help bring people together to build faith and kinship, in order to realize God’s expansive embrace in the lives of all of God’s people. This is done through the cohort groups that gather from churches throughout Houston, Texas, to learn from one another’s experiences of living in the city. TWOTP has teamed up with projectCURATE in order to provide curriculum and videos to assist with both online and face-to-face learning. Check out TWOTP these collaborations with projectCURATE: with sociologist Michael O. Emerson HERE, with Latin American theologian Jon Sabrino HERE, with English poet Malcolm Guite HERE, with Sister Melinda Roper HERE, with Andy Doyle HERE, with Rowan Williams HERE, and Father Fr. Juan Hernandez Pico HERE, wth Chris Baker HERE, with David Ford HERE, and Miguel A. De La Torre HERE, Juam Martinez HERE, and Joel B. Green HERE. Sign up to receive updates on new films and projects. Copyright © The Work of the People 2019. All rights reserved. Site by State.